If your business relies heavily on transport, then fuel consumption will be a hot topic, particularly at this time of year. Bunded fuel tanks offer high volume storage solutions to those that are looking to buy in bulk and make monetary savings in the long term, but there are other options out there that can assist in your search to reduce the overall cost of fuel and the amount your business requires. The cost of fuel fluctuates and varies day in, day out, but you can rest assured that there are certain trends that the industry also follows, year in, year out. This can often result in a rise in fuel prices, which can be difficult for some businesses to manage, dependant on their busy periods. If you don’t want to be dictated by fuel suppliers, then it might be time to invest in bunded fuel tanks for your business. Not only are they ideal for keeping fuels like diesel safe and secure on a long-term basis, but they can be used for alternative eco-fuels, too. While swapping your entire fleet of cars, vans, and lorries with electric vehicles isn’t yet an option – the majority of electric cars are light-weight vehicles used on short distance journeys online; there are still different ways of being more eco-friendly with your fuel consumption. 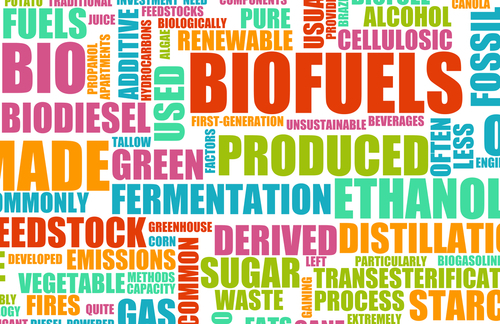 Biodiesel and other eco-friendly fuels are created through a variety of different biological processes and are primarily produced from left-over vegetable oil and plants. As such, these fuels are easily renewable and have a positive impact by reducing the level of CO2 emissions and pollution that is pumped into the atmosphere by traditional fuels. Although Adblue is a chemical additive, it is used in diesel vehicles that have selective catalytic engines to reduce the amount of diesel consumed. When used, it will reduce the overall level of emissions put from the vehicle by up to 5%. While it is not yet a legal requirement to utilise biofuel and other eco alternatives, it is a great way for your business to give back to the planet. It is just as easy to bulk buy and store biofuel in a bunded fuel tank as it is for traditional fossil fuels, only with the added benefit of being much more cost-effective and good for the Earth, too. Fuel your business with a conscience. For more information about our range of bunded fuel tanks and to discover the benefits of Adblue and Biodiesel, please contact our team today.